After watching the Grey's Anatomy episode, "Life During Wartime" with my daughter's they wanted to get their own Anatomy Jane Dolls. I tried to answer the question "Does Anatomy Jane Exist?" I went searching on the Internet to see what I could find about Anatomy Jane. I found more buzzing about "Anatomy Jane" than any actual information about Anatomy Jane. This lens is a compilation of what I could find out about Anatomy Jane. 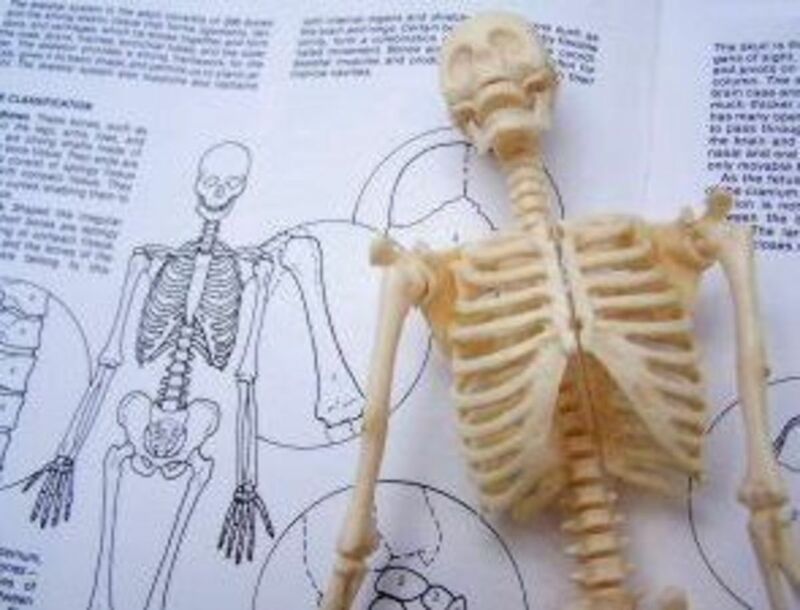 I've also included the various different models that are currently available for learning Human Anatomy from plastic bodies and nurse training models to anatomy torsos and puzzles. Meredith: Oh! Look it's Anatomy Jane. Meredith: And she still has her little twash. Meredith: Anatomy Jane had detachable organs, and I could never remember their real names, so I made up names. Like, the Twash was next to the Chubble, and that was connected to the Slivvey. Oh, and look it's the Jelly Pouch. Derek: Jelly pouch, my favorite. Still can't get enough of the jelly pouch. Meredith discovers her old Anatomy Jane. Grey's Anatomy Episode - "Life During Wartime"
Read more about the episode featuring Anatomy Jane at the Grey's Anatomy Wiki. 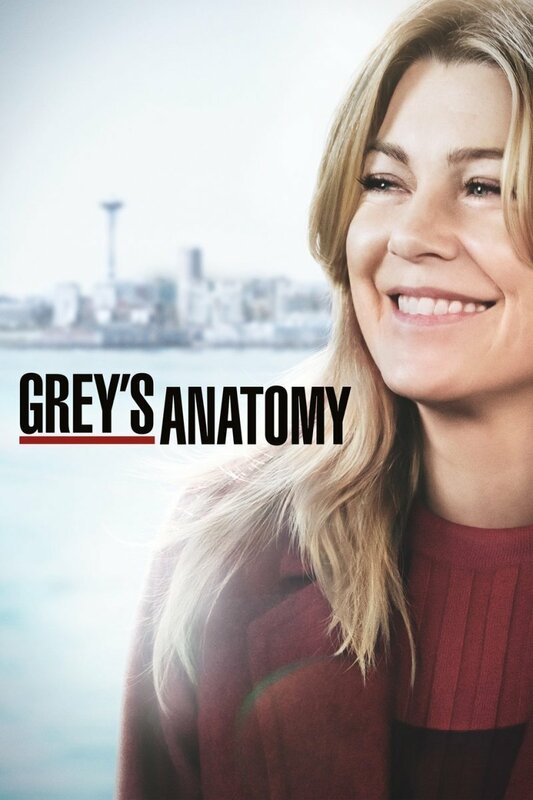 Grey's Anatomy writer Mark Wilding, who authored last night's episode, has posted his thoughts on 'Life During Wartime' on the writers' blog. Major Owen Hunt (Kevin McKidd) officially joined the staff of Seattle Grace, and it didn't take him long to clash with the regular "Grey's Anatomy" docs. In searching for Anatomy Jane I discovered there was a lot of interest in her on the internet from parents wanting to teach their young children anatomy to medical students wanting their own Anatomy Jane for studying. Anatomy Jane is a doll with 24 detachable organs and extra parts to simulate pregnancy. Where can I get an Anatomy Jane? 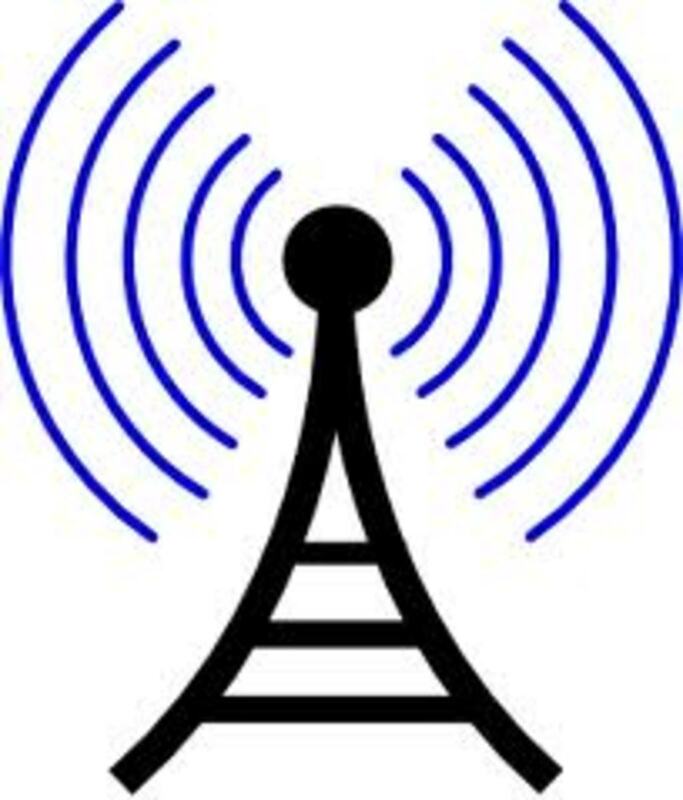 From the Too Much TV Blog. 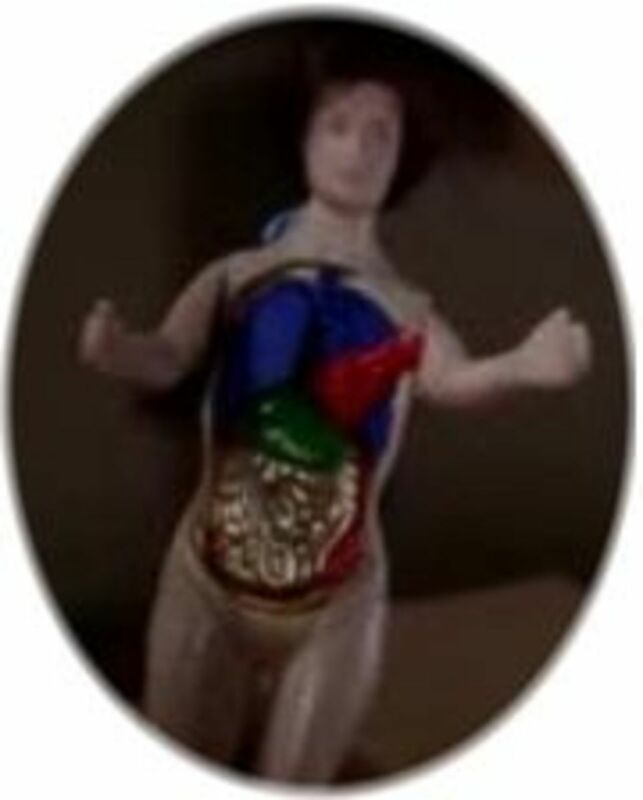 Is there a Anatomy Jane doll like the one shown on Grey's Anatomy? Do they really make a doll like the one shown? Does anyone know if the Anatomy Jane is real? Please i want one!? I'm looking for Anatomy Jane because im taking a Medical Class in High School and i want to learn much more and i think that the Anatomy Jane will help me a lot. So is everyone looking for an Anatomy Jane doll this morning? The Visible Woman is the one product that is female sort of like Anatomy Jane. This model has removable organs (which do not come colorized and need to be painted). The Visible Woman even has the optional parts to simulate pregnancy. The anatomically accurate Visible Woman model represents major human body systems including skeletal, excretory, digestive, nervous, endocrine, circulatory and respiratory. The model also includes parts to represent pregnancy. Visible Woman is 16" tall when assembled. Organs are removable. Includes a 12-page illustrated "Introduction to Anatomy" study guide. Note: Glue and paints are not included, but can be used to make the doll look even more realistic. Age: Ages 9 &amp; up. If you want an Anatomy Joe instead of an Anatomy Jane, consider the Visible Man. This model has removable organs (which do not come colorized and need to be painted). The anatomically accurate Visible Man model represents major human body systems including skeletal, excretory, digestive, nervous, endocrine, circulatory and respiratory. 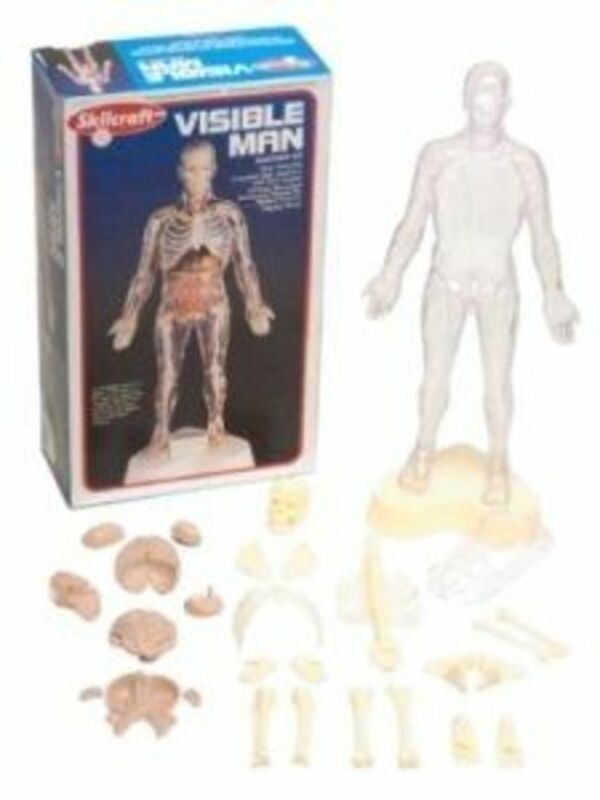 Visible Man Model is 16" tall when assembled. Organs are removable. Includes a 12-page illustrated "Introduction to Anatomy" study guide. Note: Glue and paints are not included, but can be used to make the Visible Man look even more realistic. Ages: Ages 9 &amp; up. 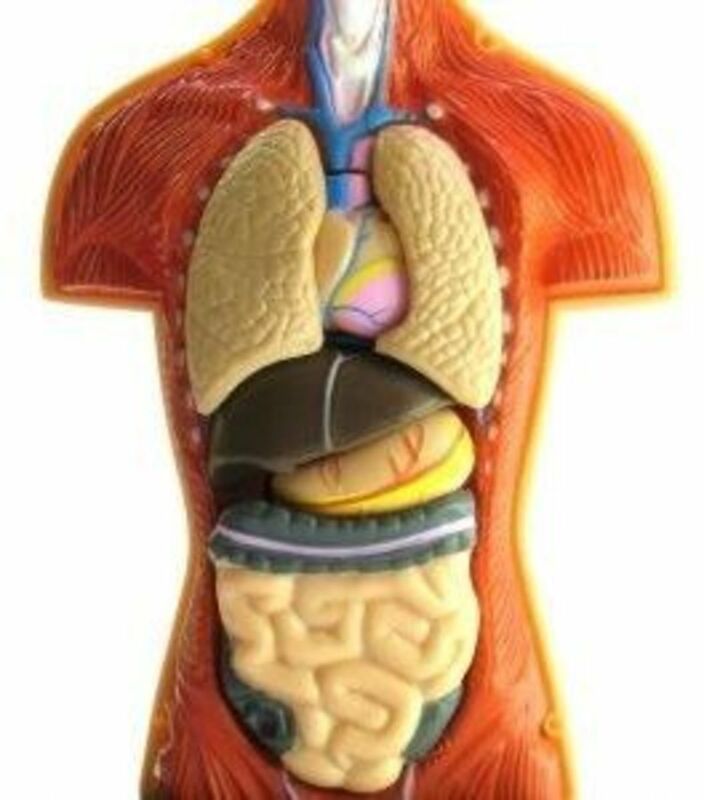 The Squishy You Explore it Human Body model looks like a fun way for children in particular to learn anatomy. The model includes removable squishy organs along with ways of learning the skeletal, vascular and muscular systems. 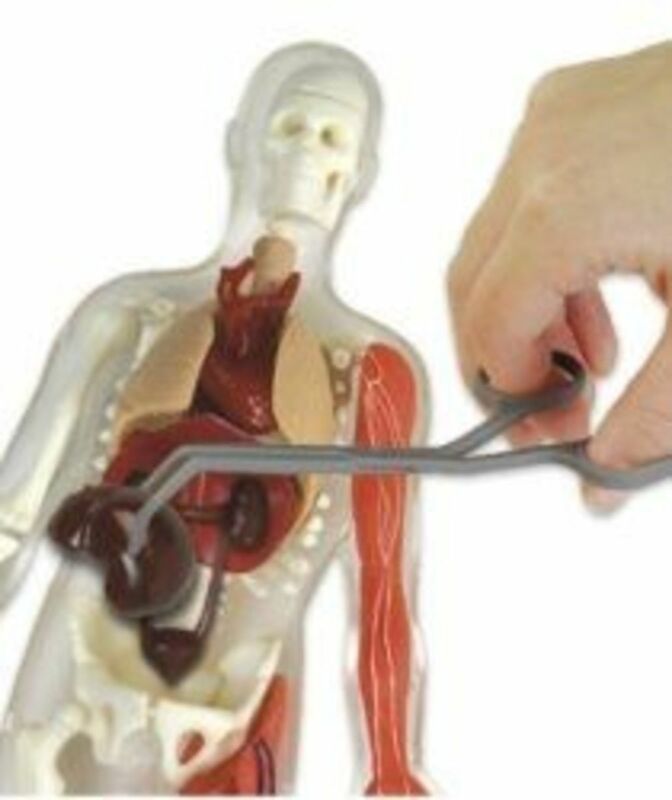 It even comes with a pair of forceps and tweezers to allow squeamish children to pick up the organs without touching them. While this kit appears to be male or an Anatomy Joe, this model is the most like the Anatomy Jane with the various organs that come out and can be put back into the model. Watch children playing with the Squishy You Explore it Human Body from Amazon. 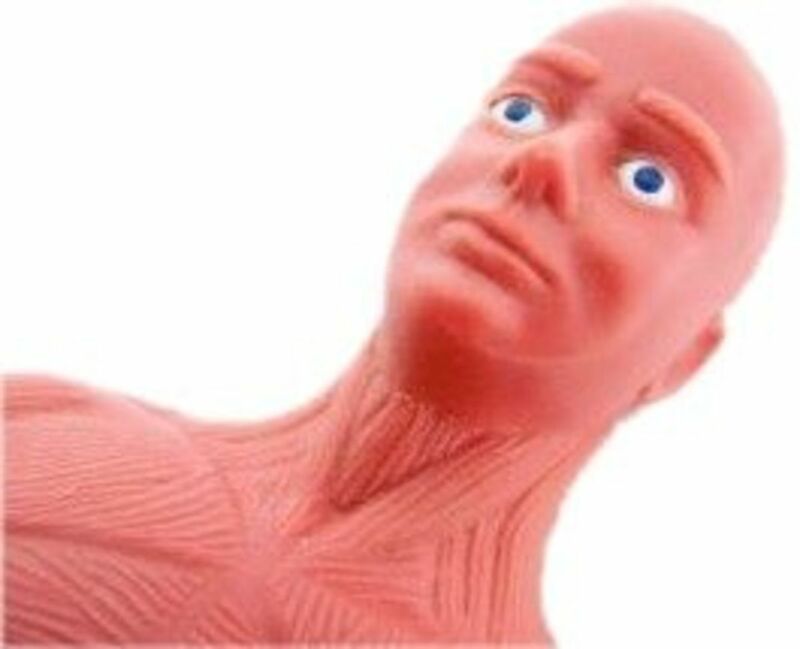 The Squishy You Explore It Human Body comes with a 12-inch plastic human body model , nine squishy removable organs, the skeletal vascular and muscular systems. In addition there is a tray for organizing the inner organs and forceps and tweezers for those who don't want to pick up squishy organs. Similar to the Visible man and woman, the transparent man and woman comes with a clear plastic body with colored internal organs. Kits come with soft internal organs the outer skeleton and a display base. The woman kit includes the option of creating a pregnant model. 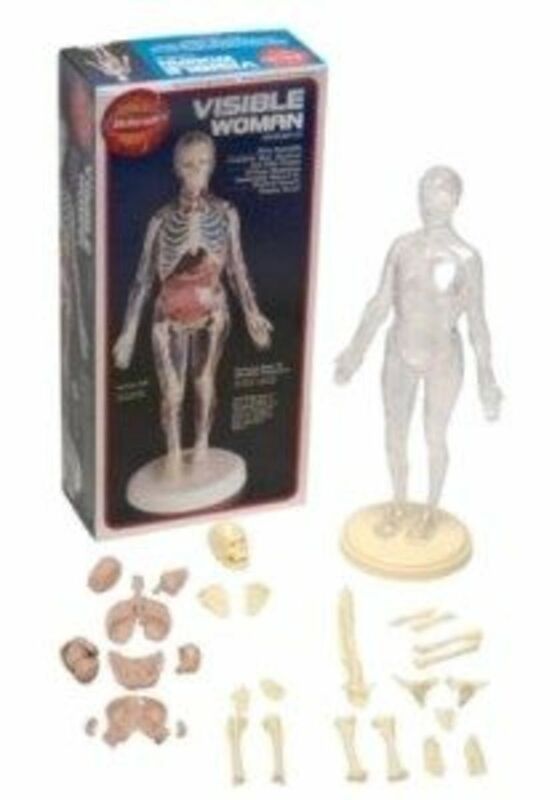 The transparent woman model kits comes with the option to create a model of an expectant woman. Includes soft interal organs that the clear plastic body. This transparent body includes the internal organs and the skeletal system. This one looks like it would have been more helpful for studying muscles. Anatomy Doll from Melodi T. Royalty Free Use. A this doll sized human torso model contains 32 detachable hand painted parts. A good desk top educational tool. Recommended Age: Ages 8 and up. 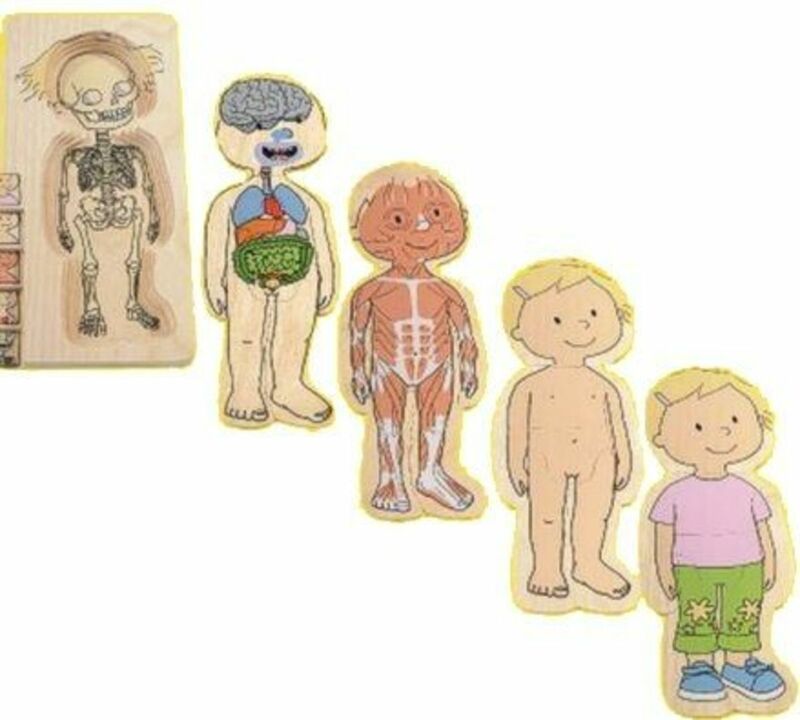 It seems that many of the Anatomy Models available for teaching children and adults are just torsos rather than the full body. Image Source: Sophie. Anatomy Model. Royalty Free Use. Admiring the struggle it takes to be human. I had some thoughts about using Anatomy Dolls or Anatomy Torsos for teaching students human anatomy. The good teaching point in using Anatomy Dolls is that you are using the whole body to teaching about the whole person. Students learn that there is a head, face and arms attached to the body. The downside to teaching using Anatomy Torsos is that you are teaching detachment. With the torso, there is no head, no arms or lens. The torso models allow you to distance yourself from the person being treated. I wonder if Meredith and Miranda are compassionate surgeons, because they played with Anatomy Jane and can still see the whole person. The You Explore It Human Body Kit from Smart Lab Toys is the interactive view of the body that features a 12-inch clear plastic human body model with 9 removable squishy vital organs and 3 of the bodys systems skeletal, vascular and muscular. The kit includes forceps, tweezers, a tray to organize the organs, and a 32-page, full-color book that explains food digestion and provides activities about the body. This model comes with 13 removable organs both Male and Female organs. Female torso with 14 removable organs. Human Anatomy Puzzle by bvalium. Next time, you'll know to bring an ugly doll, won't you, Stevens? A Nurse Training Doll - The New Anatomy Jane? This model has been newly developed as a teaching aid, especially for training nurses. There is a wide range of exercises possible including both first aid and emergency situations, and standard nursing practices. The doll has the usual internal organs so that in addition to the basic care procedures, a wide range of medical treatment procedures can be practiced. This appears to be a life-sized manikin. A supplier in China specializes in models that have been developed as a teaching aid, especially for training nurses. High quality nurse training doll female, Made In China. This model has been newly developed as a teaching aid, especially for training nurses. High quality nurse training doll male, Made In China. This model has been newly developed as a teaching aid, especially for training nurses. A supplier has suddenly popped up peddling something very similar to the "Anatomy Jane" doll Meredith Grey toted around as a little girl at Seattle Grace Hospital. You used to run around here with that doll on the time. Took her everywhere. Cafeteria, OR gallery. Tori's got a whole army. 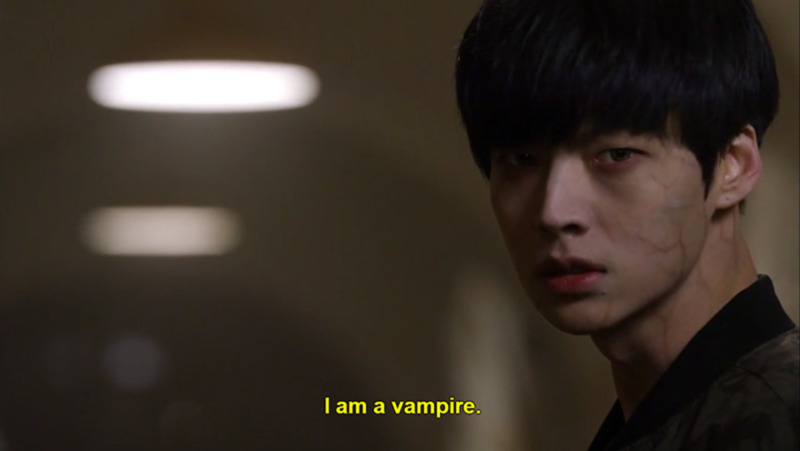 You didn't have anyone. Seeing Anatomy Jane ... reminded me of how much I'm to blame for that. You're a living reminder of every failure in my life. And that's not your fault. And if I thought 'I'm sorry' would hold any meaning for you at all, I'd say it. I'd say it a thousand times a day. One of my anatomy partners and I made a pattern in medical school and I sewed an anatomy apron, complete with movable organs. Little did we know that that idea would eventually be used to create an Anatomy Apron for children. Colorful cut-out organs attach with Velcro. Beleduc Your Body - Girl 5-Layer Wooden Puzzle. Available at Amazon below. 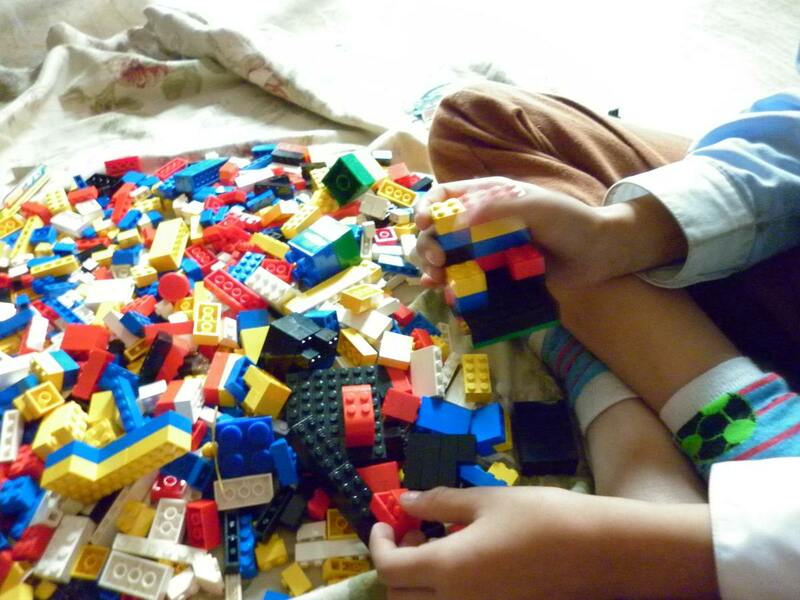 Another good option with children is to use puzzles. This 5 layer wooden boy puzzle comes highly recommended. Includes layers to study the skeletal, respiratory and digestive, muscular, and integumentary/skin systems. This 5 layer wooden girl puzzle comes highly recommended. 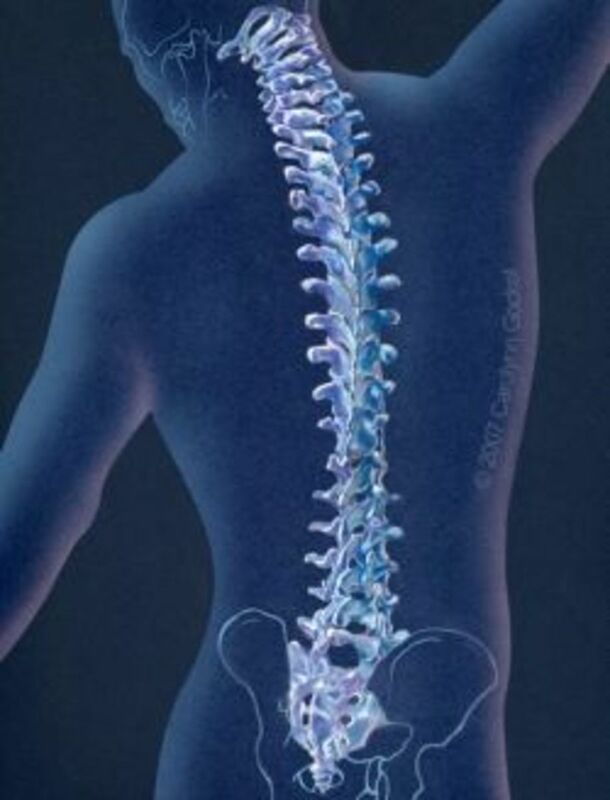 Image Source: Melodie T. Skeleton Study 1. 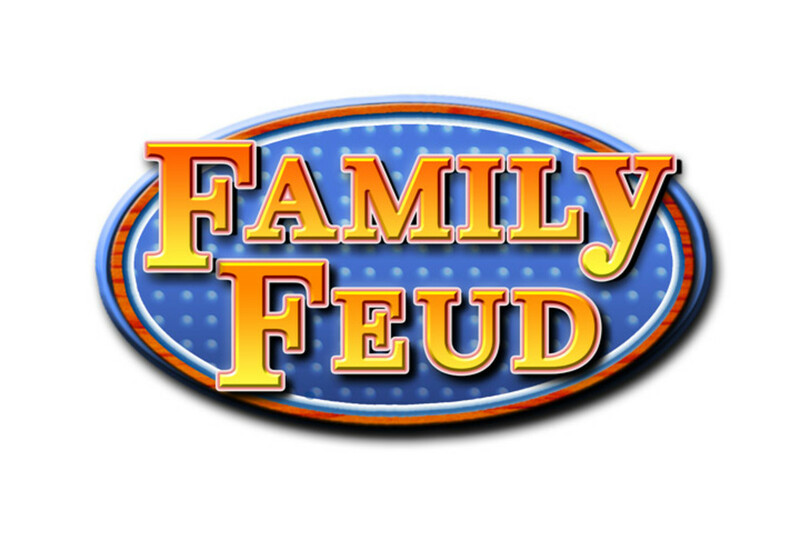 Royalty Free Use. For the past three years that I've volunteered in my daughters' classroom around the time of Halloween to teach the students a bit of bone anatomy and also to be less afraid of skeletons. 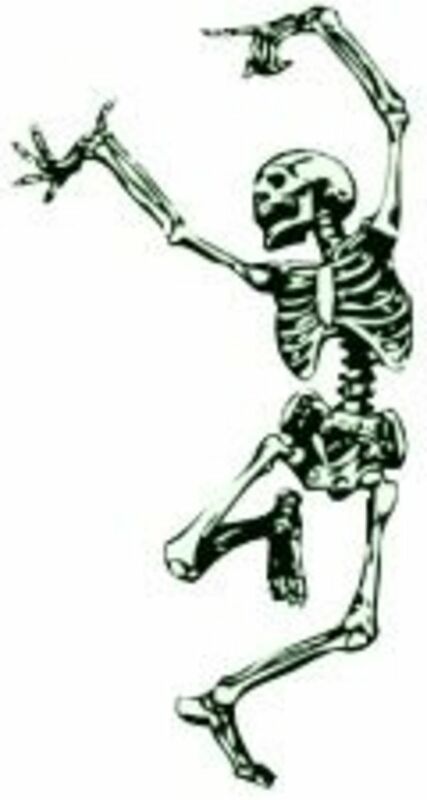 I started using skeleton puzzles to enhance teaching children about bone anatomy in 2006. So far, I have taught bone anatomy to preschool children, Kindergarteners, First, Second and Third graders. This year I was able to use a large skeleton model that the school already had in storage. Great for playtime, this large 15-piece puzzle is 4' tall when assembled, making it life-size for kids. Kids learn all the major bones as they assemble this unique, soft foam puzzle. 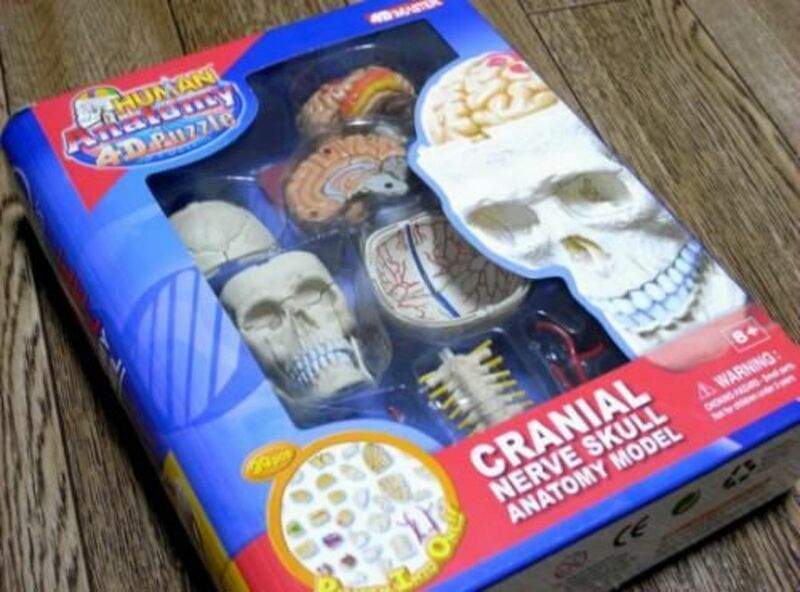 I've used this several times to teach bone anatomy to children with great success. Big Tim comes with half of him paitned with the muscle insertions and origins and the other half focusing on the bones. This is an anatomically accurate plastic skeleton. It is a useful size for teaching in the classroom or in the clinic. Is there a real Anatomy Jane? Anatomy Jane was used on the Grey's Anatomy episode, "Life During Wartime." She was one of Meredith's favorite toys as a child, one possibly also use by Miranda. I haven't been able to find out if a there is a real Anatomy Jane. If there is, the doll wasn't known as Anatomy Jane. She doesn't have any past Internet history. I did find a website for Anatomy Jane that is promising an Anatomy Jane doll, but no details are provide about the doll and some of the information that they do have up on their website makes me suspect about the reliability of the information on their site. The best that I could find as of December 2008 is the Visible Woman or Man. Four years after the episode and there is still no Anatomy Jane, but there are lots of other anatomy models. This lens benefits Donors Choose an organization dedicated to addressing the scarcity and inequitable distribution of learning materials and experiences in our public schools. Teachers Ask. You Choose. Students Learn. Would You Want an Anatomy Jane or Anatomy Joe? @braincell2020: Me too! Hope you found something similar. Thanks. I love this! I've always wanted an Anatomy Jane since I saw this episode. Too bad it doesn't actually exist, so it looks I'll have to settle for one of the ones you listed. Great lens! Holy Cow! We had a Visible Man like 20 years ago! (the innards never did fit - had to sort of smush him together with some rubber bands). Blessings for being a winner in the Spirit of the Season Challenge.